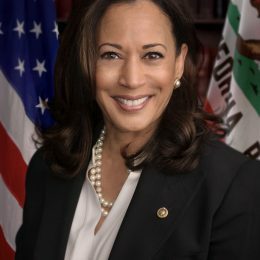 On January 21, 2019, Senator Kamala Harris (54) officially launched her candidacy for the Democratic nomination for president of the United States. Kamala Harris graduated Howard University and University of California, Hastings College of the Law. In 2004, she was elected District attorney of San Francisco. in 2016 she became California’s third female U.S. Senator. Presidential hopeful Kamala Harris, a democratic senator from California, made a campaign stop at Winthrop University in Rock Hill Friday. California Senator Kamala Harris is defending her home turf in the race for presidential campaign contributions leading up to the 2020 election.